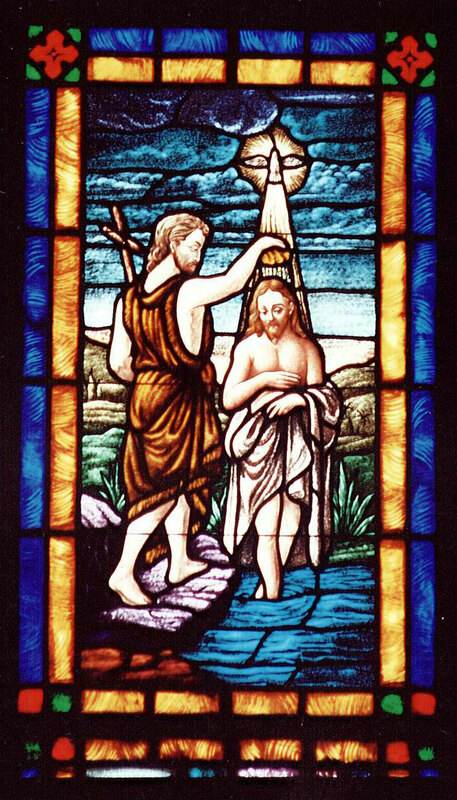 In like manner, in baptism we put on Christ, (Galatians 3:27) we are washed by his blood, (Revelation 1:5) our old man is crucified, (Romans 6:6) in order that the righteousness of God may reign in us. In the Holy Supper we are spiritually fed with the flesh and blood of Christ. Whence do they derive so great efficacy but from the promise of Christ, who does and accomplishes by his Holy Spirit what he declares by his word? Let us therefore learn, that all the sacraments which men have contrived are nothing else than absolute mockeries or frivolous amusements, because the signs can have no truth unless they be accompanied by the word of the Lord. Now, since we never sport in this manner with sacred things, without wickedly pouring contempt on God and ruining souls, we ought to be most carefully on our guard against those stratagems of Satan. John Calvin, Commentary on the Gospel According to John, 20:22. In Exodus 19, Israel came to Mt. Sinai. Verse 1 says it was “on the third new moon” that they arrived at Sinai since they left Egypt. Verses 11 tells us that Israel was to prepare herself for “the third day” when “the LORD will come down on Mount Sinai in the sight of all people.” Verses 16-20 tell of the great majesty and glory of God who appeared to Israel on “the third day” on top of Mt. Sinai in fire, smoke, thunder, and lightening. While Moses was on the mount he received the Ten Commandments and the Book of the Covenant. Thus, Israel’s covenant inauguration/renewal ceremony took place on the third day. The prologue to the Ten Commandments reiterates this resurrection theme when God says, “I am the LORD you God who brought you out of the land of Egypt, out of the house of slavery.” This is resurrection language. “You were once dead in Egypt, but now you are alive, therefore serve me” is the essence of what God is saying. This proclamation takes place not just on the third day, but on the third day of the third month/third new moon. This brings us then to Numbers 19:11-13. This passage makes it very clear that death needs to be cleansed from a person on third day, as well as the on the seventh day. This is an obvious third day resurrection motif. But what might not be as obvious is why it is that the cleansing is needed on both the third and seventh days. Jordan gives us insight. The third day (year, etc.) theme arises from the theology of the week. History begins on the first day, but humanity fell into sin and came under the judgment on [sic] death right away. There is a preliminary judgment and restoration on the third day, and that restoration makes it possible for humanity to become faithful and obedient as we move to the final, seventh day of history. This two judgment, two-resurrection scheme is set forth most fully in Numbers 19, where we read that a person who came into near contact with a human corpse was contaminated by death, just as all of us are contaminated with Adam’s death, and that the unclean person was cleansed both on the third day and again on the seventh. We see here a preliminary cleansing (that is, a resurrection from death contamination) and a final cleansing. This analysis seems to fit with Jesus’ understanding of the flow of history in John 5. Jesus said “For an hour is coming (future) and is now here (present), when the dead will hear the voice of the Son of God, and those who hear will live.” The third day cleansing represents Christian baptism (the first resurrection) and the seventh day cleansing represents eschatological cleansing (the second resurrection). A person who has encountered death needs to be cleansed twice, once in the middle of history and once again at the end. The cleansing/resurrection in the middle of history and again at the end of history corresponds to the two cleansings/ two resurrections found in Numbers 19. Saint Paul also affirms this truth when he speaks of the resurrection in 1 Corinthians 15:23 – each in his own order: Christ the first-fruits, then at his coming those who belong to Christ will be resurrected. See James B. Jordan, The Law of the Covenant: An Exposition of Exodus 21-23 (Tyler, TX: Institute for Christian Economics, 1984), 55-56. Jordan, Law of the Covenant, 56. Jordan, The Handwriting on the Wall, A Commentary on the Book of Daniel (Powder Springs, GA: American Vision, 2007),130. Jordan, The Handwriting on the Wall, 58. David Chilton, Days of Vengeance: An Exposition of the Book of Revelation (Fort Worth, TX: Dominion Press, 1987), 550-551. In Genesis 1, we see that the Spirit of God was hovering over the waters of creation. It was out of this water that the dry land of the new earth was brought forth on the third day. The waters were separated, and dry land appeared (Gen. 1:9-10). On the sixth day when man was created out of the dust of the ground, which corresponds to the filling of that which was formed on the third day, we see that there was a mist coming up from the ground and watered the whole land from which man was created.Thus man was created from the dust that was covered in water (Gen. 2:6-7). After the flood, we see a similar picture, with the dove, like the Spirit of God hovering over the flood waters, looking for a place to rest its feet (8:6-9). Later, during the Exodus, when Israel was brought out of Egypt, a similar picture is given in the crossing of the Red Sea. “And the people of Israel went into the midst of the sea on dry ground, the waters being a wall to the on their right and on their left” (Ex. 14:22). St. Paul looks back to this account in 1 Corinthians 10:2 and says that Israel was ‘baptized in to Moses.’ Deut. 32:11 even pictures God as a fluttering eagle over Israel when He brought them out through the water. This is a striking resemblance to the creation and flood accounts, when the Spirit was hovering over the waters of creation and ‘new creation.’ A similar account is recorded for us in Joshua 3:15-17 when the Israelites went into the land and the water from the Jordan River was overflowing. The Priests who bore the Ark of the Covenant went into the water, and the water ceased to flow, and Israel went over into Canaan on dry land. We might possibly see the Cherubim with their wings spread out over the Ark, which was placed in the hands of the priests who were “in the midst” of the water, as picture of the Spirit of God hovering over the water here also. Directly connected to these water “baptisms” is the doctrine of the eschaton. Jesus Himself speaks of the “times of restoration” that come by the hand of Elijah (John the Baptist) in Matt. 17:11; He also speaks of the time of the “regeneration” in Matt. 19:28; Peter and John in Acts 3 exhort the people to repent so that the “times of refreshing” and “the time of restoring all things” can come about; Hebrews talks about “the time of reformation” (9:10); Peter in his first epistle says that their salvation is ready to be revealed in this ‘last time’ (1:5). This grace of salvation will be brought to them at the “revelation of the Lord Jesus Christ.” When this revelation occurs, “the heavens will be set on fire and dissolved, and the heavenly bodies will melt as they burn! But according to his promise, we are waiting for a new heavens and a new earth in which righteousness dwells” (2 Peter 3:12-13). Peter looks for that day of wrath when the old covenant would be brought to a close. This day of wrath finds comparison with the destruction of the flood of Noah, and the manner in which they were saved from that wrath. The wrath that God indeed did pour out ended the old covenant “heavens and earth” was in the destruction of Jerusalem in AD 70. Peter thus concludes that “Baptism, which corresponds to this [the ark which saved them from the destruction of the old world and which brought them into the new] now saves you” (1 Peter 3:21). Though this passage has been debated, I believe that the proper rendering of the text should be understood as: we are saved by the washing [baptism] that brings about the new birth (i.e., new creation). ‘Regeneration’ literally means “New Birth” and so we are born anew through the waters of baptism, not by any internal “regeneration” as classic reformed theology has understood the term, but in the external objective sense. Baptism brings us into the regeneration, the eschatological kingdom of God on earth. Connecting this Jesus Himself said that a man cannot see the kingdom of God unless he is born of water and the spirit. It is not just the spirit, but it is also the water, that is, the waters of baptism. Thus, from a biblical theological perspective, Christ Himself is the New Creation, and it is baptism which then brings us into this new creation, i.e. Christ. All of those Old Testament types find their significance in baptism, which was the means whereby a person came into the “New Creation.” It is the not only the same in the New Covenant, but it is here where the fulfillment is. See R.T. France, The Gospel According to Matthew: Tyndale New Testament Commentaries (Grand Rapids: Eerdmans, 1984), 287-288. When a child is brought up in a Christian home, and attends church every week, reads the Bible, goes to Sunday school, memorizes Scriptue, has learned Biblical Doctrine, etc, and is not yet baptized because the parents of the child feel that the child does not yet “intellectually understand” what baptism means, or understand what it means to be a Christian, is this helping or hindering that child from coming to Christ? 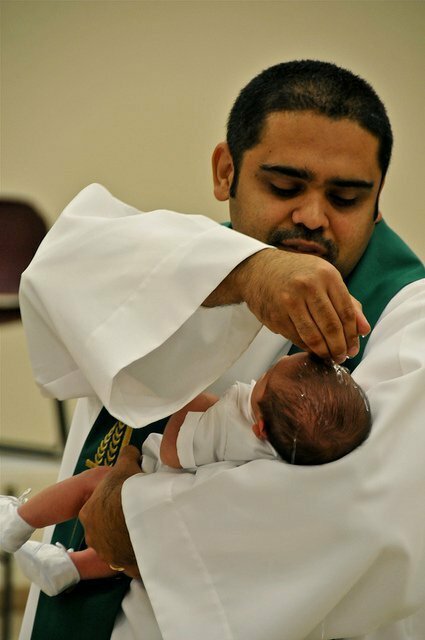 Is this unbaptized child who has been brought up in the church to be considered a christian? Is this unbaptized child who has been brought up in the church a memeber of the church? If the child has to attain a certain intellectual level of understanding before being baptized, is this intellectual attainment a form of works? Is it unbiblical and/or unethical to raise a child in a Christian home, under christian rules, expecting that child to follow and obey those rules, and for that child to go under the proper Christian disicipline due to disobedience, and yet to consider that child to not be a christian and to not be in covenant with God because of their lack of baptism? Is that wrong? If we are all equal in Christ, then isn’t the unbaptized child considered an unequal due to their lack of baptism, since he is not ye a “christian”? Does this make this child some sort of second class citizen? Did Jesus tell the children He blessed that they had to wait until they were a certain age or were able to attain to some intellectual understanding before they could come to Him? What were the requirements that needed to be met that Jesus laid down for the children before the kingdom of God could be belong those little children? If the New Covenant is made ONLY with true believers, then how is it that in Hebrews 10:26-30 ,that a person could “receive the knowledge of the truth”, and by their deliberate sinning, “profane the blood of the Covenant by which he was Sanctified“, and subsequently in verse 30 have the author say that this person who will be judged is to be considered “HIS (God’s) PEOPLE”????? This person received the truth, was in covenant with God, was sancitified by the blood of the (new) covenant, was considered to be God’s people, and yet can still “spurn the son of God, and profane the blood of the Covenant by which he was sanctified, and could outrage the Spirit of Grace”? This person will subsequently be judged by a fury of fire that will consume God’s adversaries (which this person is). If the New Covenant is only made with those who are regenerate then how could Hebrews 10:26-30 make any sense???? ?